I can’t take all the credit for this beautiful card! There was a similar one that I found on Pinterest and decided to CASE. I did change a few of the details, just to make it my own though and I absolutely love the result! 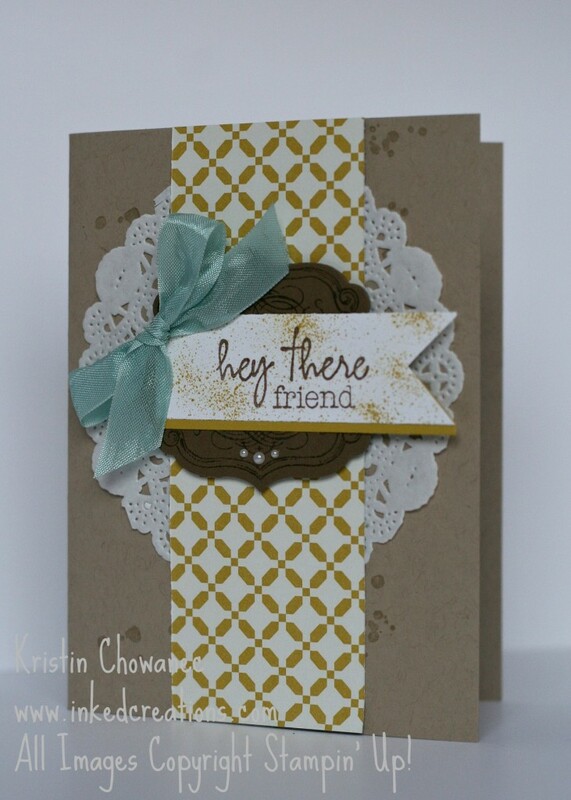 The stamps used on this card are from the My Paper Pumpkin welcome kit. I am really enjoying the fact that even though I created all of my cards in the first kit I have these fabulous new stamps to play with! If you would like more information on My Paper Pumpkin you can learn more here. Would you like to make this card? Check out the Stamping Supplies to see what I used. Click on the links to go to my online store.